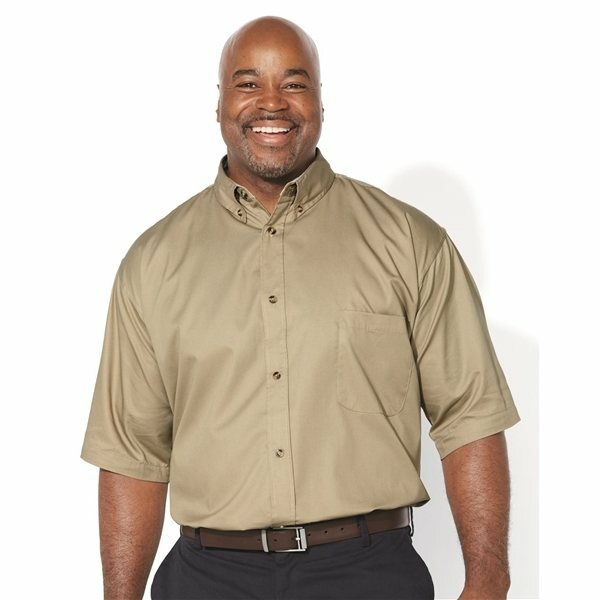 A short sleeve profile treated with DuPont Teflon® fabric protector to fight stains, soil and liquid. 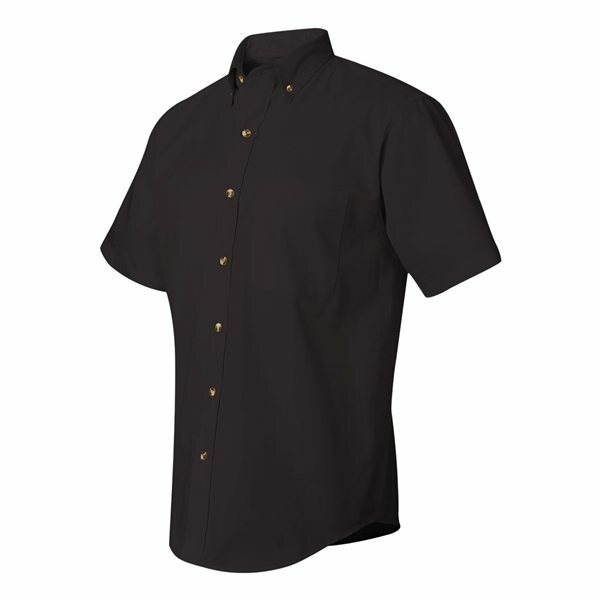 Button-down collar with woodtone buttons. Double-needle stitching throughout, felled seams. 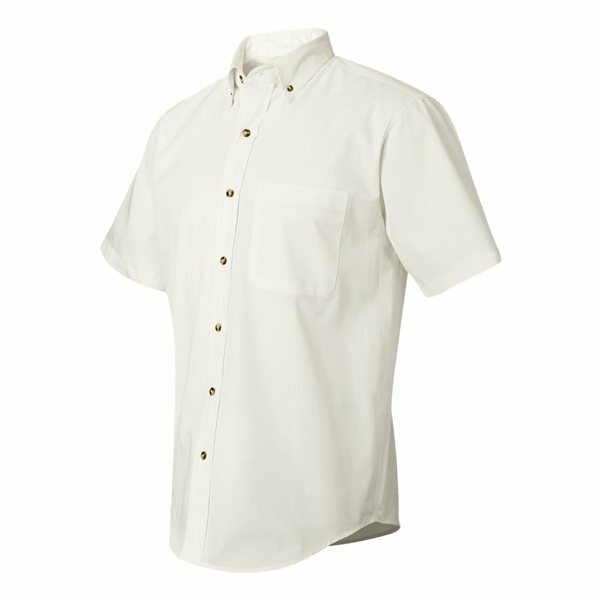 Left chest pocket, two-ply back yoke with pleat. the printing of our product was excellent! Liked them fine!